Located within the historic foundations of the old Philips screw factory in Digbeth – and inspiration for the venues branding – [ scru:club ] hopes to set a new precedent in the Birmingham clubbing scene with a thoroughly diverse music calendar stretching across multiple genres in the underground canon. With the opening night set for Friday 17th March the club has a lot to deliver with high expectation and intrigue hung heavy in the air. Already a major talking point within the local landscape and beyond, the club promises meticulous music programming, dazzling new concepts, high levels of production and one of the best sound systems & audio acoustics in the country. Currently in phase 1 of its grand 3 phase expansion plan, the space hopes to reach a staggering max capacity of 4000 revellers. Utilising various outdoor spaces, old warehouse lots and forgotten basements to extend beyond the current limit of 1000. Inside the elusive space a truly unique setting is revealed, nestled underground yet still able to reveal the backdrop of the adjoining canal system with a cleverly installed wall of glass. 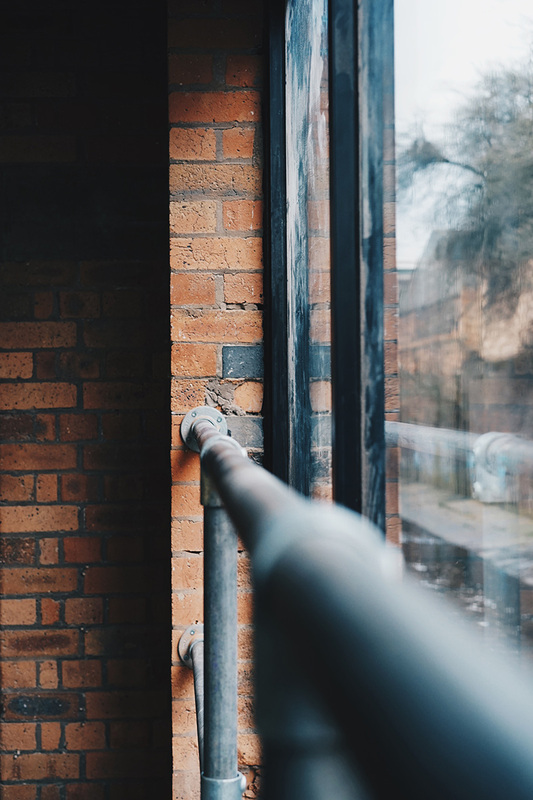 Graffiti already adorns the opposing brick work but plans to use this space for guest artists and bespoke visual mapping are already in the pipeline. The DJ booth sits central amongst the glass panes, behind a goliath custom built Void Sound-system. 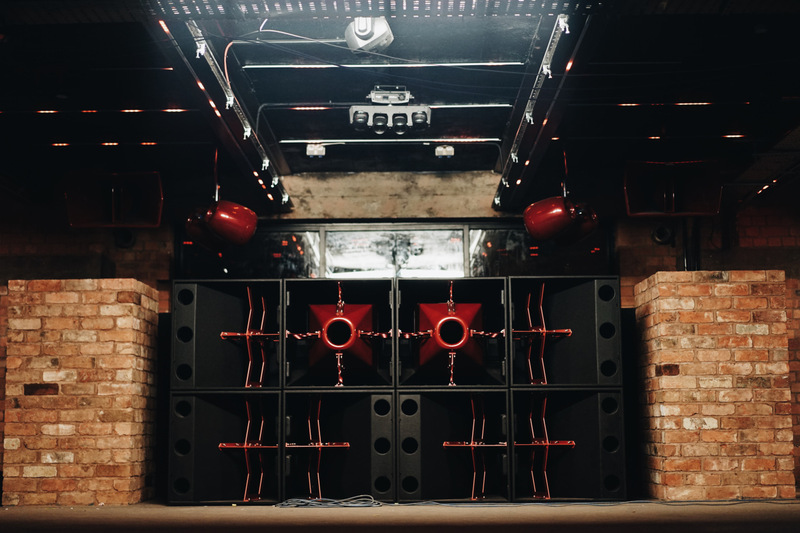 The booth itself is a well-thought design, offering DJs ample space for 4-deck plus mixing and additional live performance equipment – a vinyl holding bay and bag stowaway have also been built into the structure. All of this coupled with low ceilings (littered with independently controlled LED lights) and the exposed concrete pillars pave the way for a stripped-back yet fully immersive dance floor experience. Friday nights, hosted by Continuum, will bring an impressive wave of bass heavy line ups featuring prestigious brands like Swamp81, Exit records and Manchester crew Levelz, the latter of which will be bringing the business on the opening night. Saturdays will be hosted by [ scru:club ] delivering serious line ups on the house and techno spectrum with legendary artists like Marshal Jefferson, Steve Bug and Magda littering the agenda. The club is brimming with potential and has succeeded in curating an impressive music programme tailored to meet the desires of any underground music junkie, but how this will translate in the real world? With so much competition bunkered down in the area and a challenging year ahead forced by its proposed goals, the club will certainly have to excel and amaze the masses throughout the season one period. For the sake of offering local music a new platform, presenting new choices to ravers and DJs alike and promoting a co-operative underground movement, we hope that only the best can come of this brave venture – for both venue and the wider Digbeth area.